Trivandrum, 9 November 2017: One Planet Academy (OPA), the environment education portal in the country was launched by WWF-India in association with Capgemini. 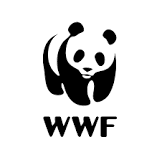 The website available at http://academy.wwfindia.org encourages schools to adopt green practices, offers project and activity ideas for the teachers, along with online training courses, and houses games, comics and interactive maps for the students. The portal was launched by State IT@School director Anvar Sadath at Museum auditorium yesterday.